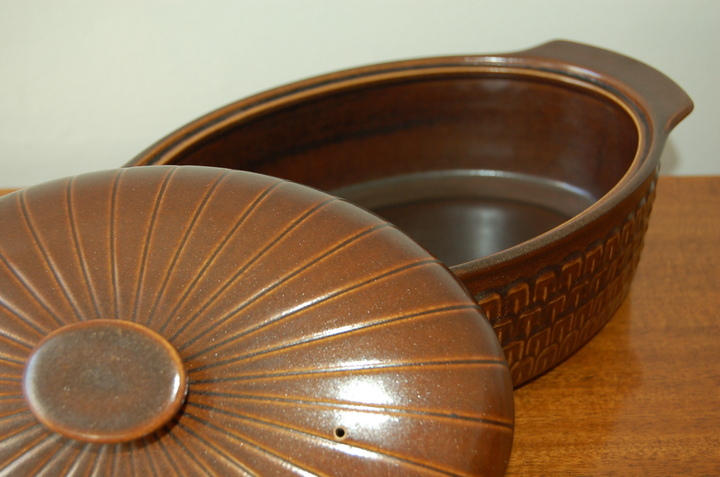 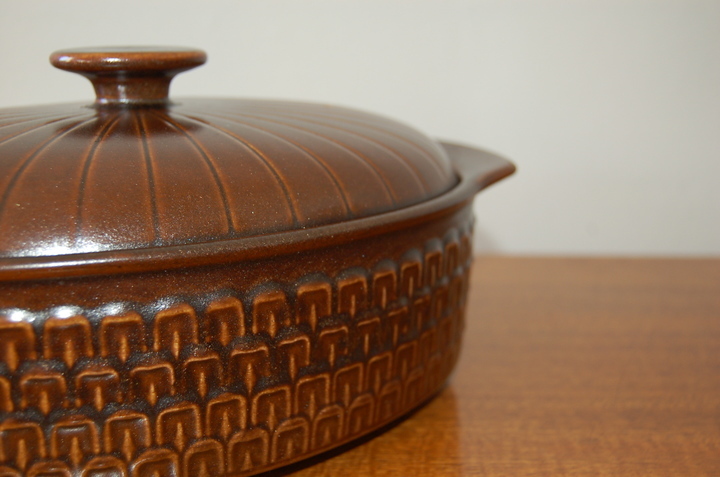 Rare, oval tureen / casserole, from oven to tableware, by Wedgwood. 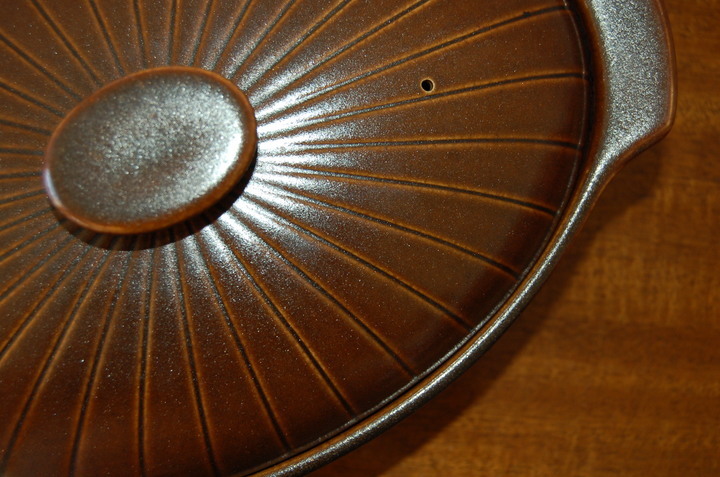 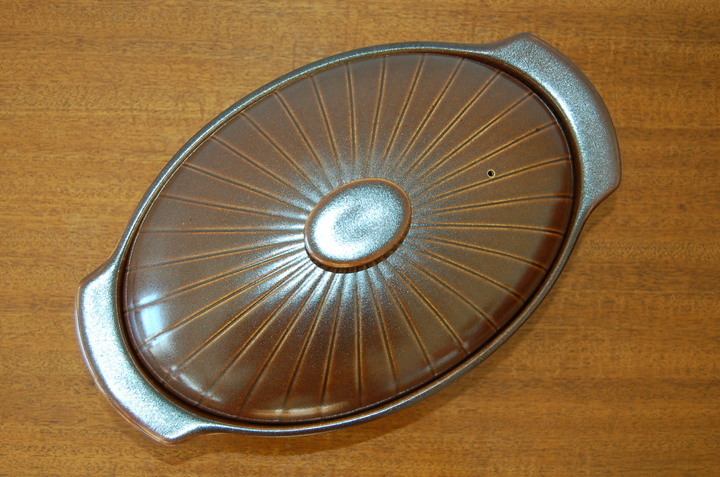 This mid-century pattern, Pennine, was produced from 1965-1971. 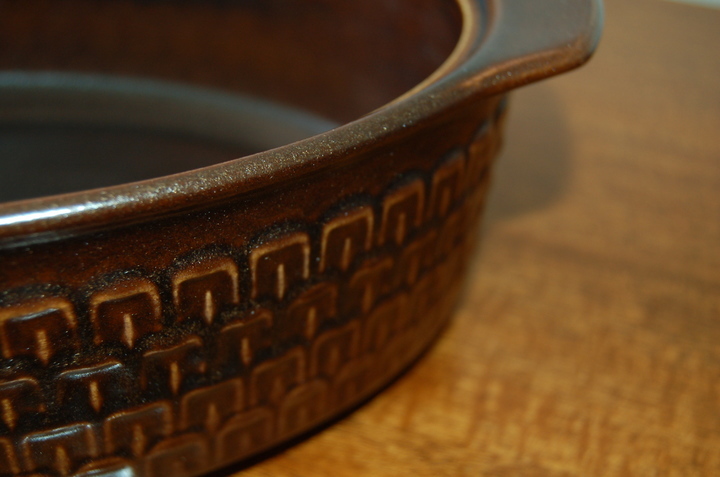 It features a beautiful embossed design.